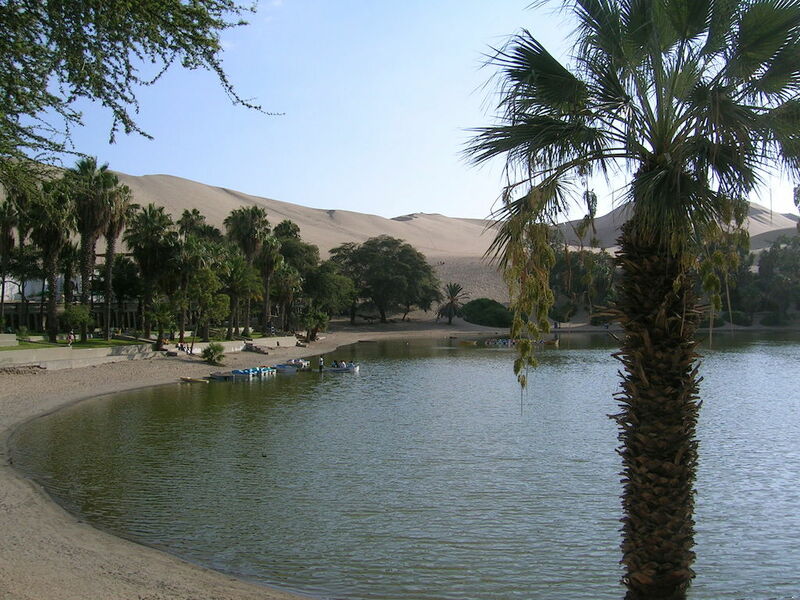 A unique place in the middle of the vast, arid Peruvian desert is the Huacachina Oasis. 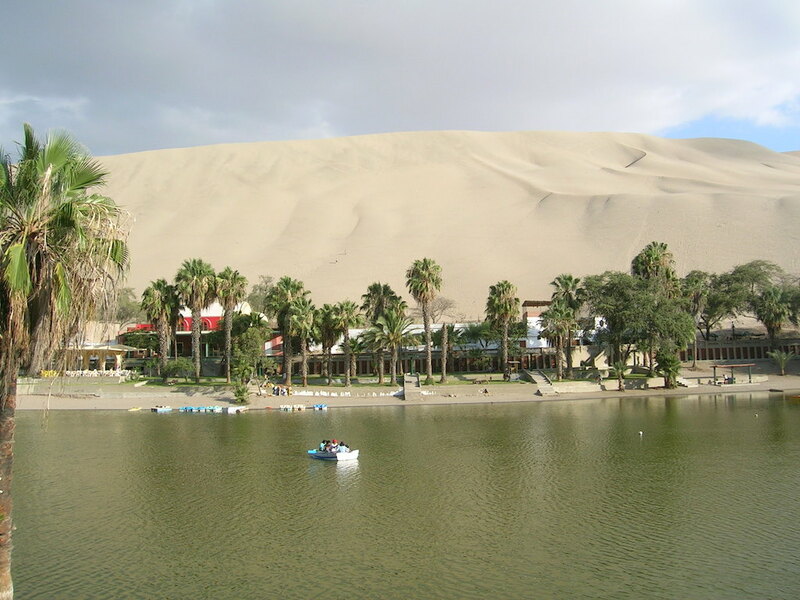 A small town of only about 100 people, which boasts a number of cafes, restaurants, hotels and activities due to the steep sand dunes and the beautiful lake. In such a dry environment, its had to imagine such a lush spot of green where all around it sand. 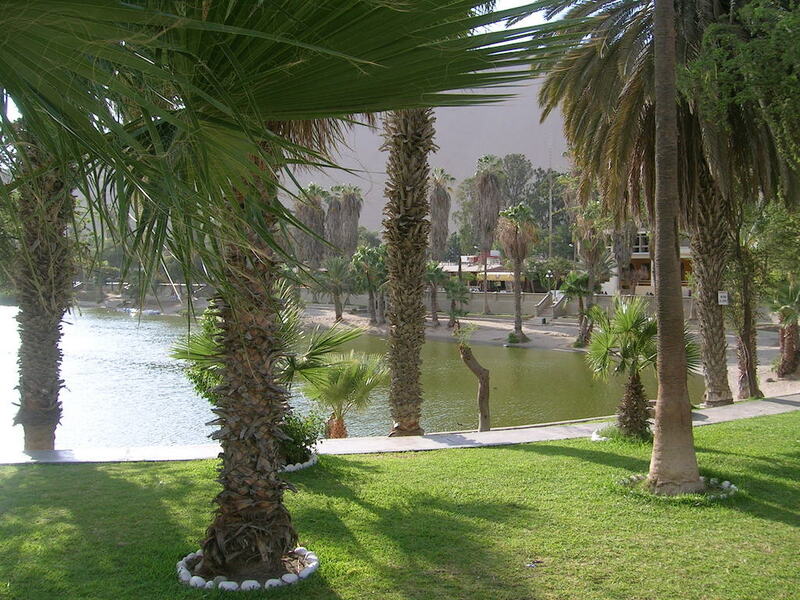 We only stopped for a late lunch on route to our next destination, but had plenty of time to walk around the Oasis itself. 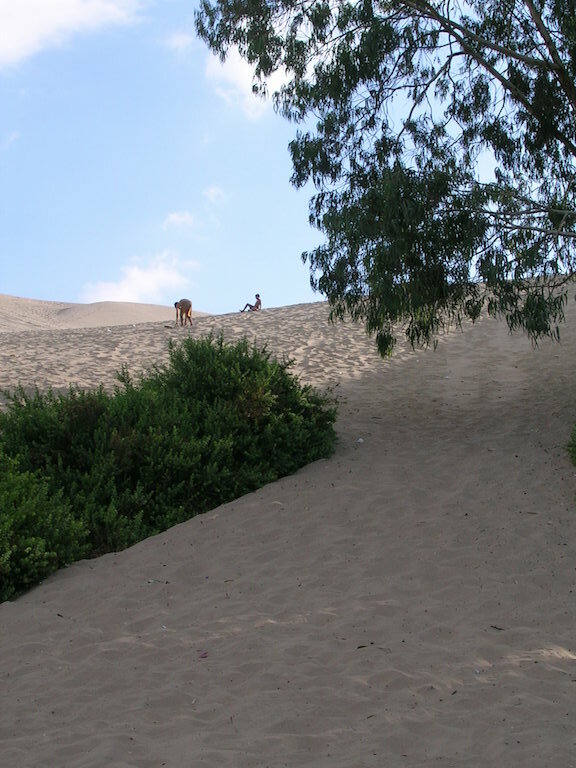 There were few visitors the day we went but I understand its popular with sandboarders – like snowboarding but with sand. Tourism is the only source of income for the local people here but its also causing the Oasis to dry up due to ground water useage. Its now artifically “topped up” to stop it drying out completely. 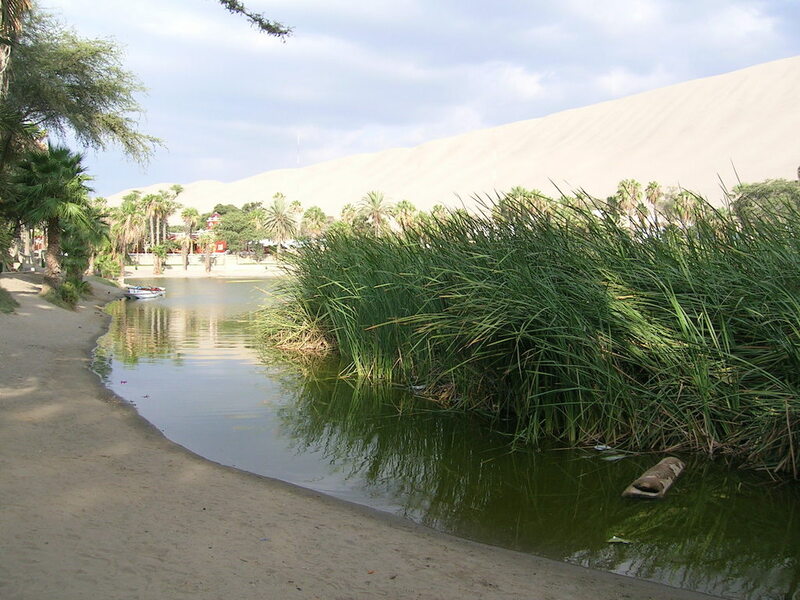 Its one of the last remaining natural oasis in the America’s. 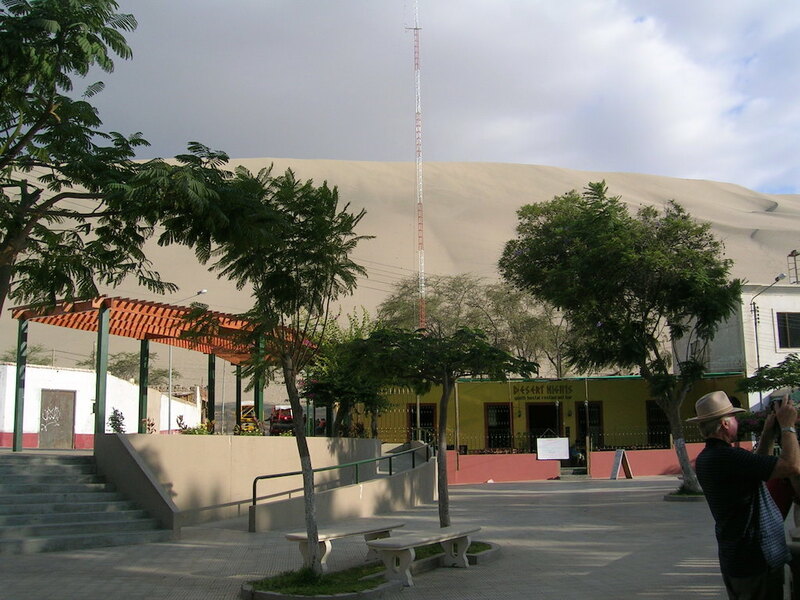 The area has been declared a national cultural heritage site, by the National Institute of Culture and it appears on the Peruvian 50 soles note. For more of my posts about Peru, click here and be sure to follow for more Peru and Ecuador posts coming up soon. 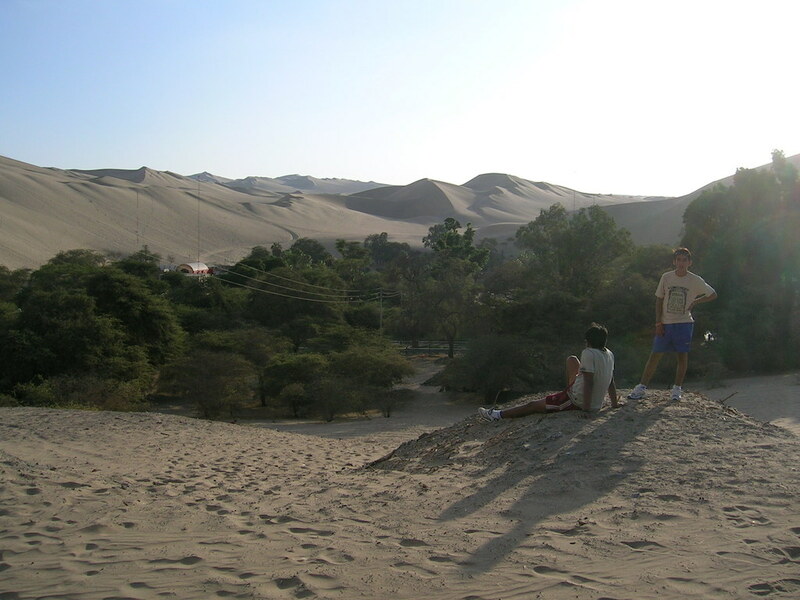 I am surprised that the sand dunes haven’t simply overwhelmed Huacachina . Do you know how long it has been inhabited? 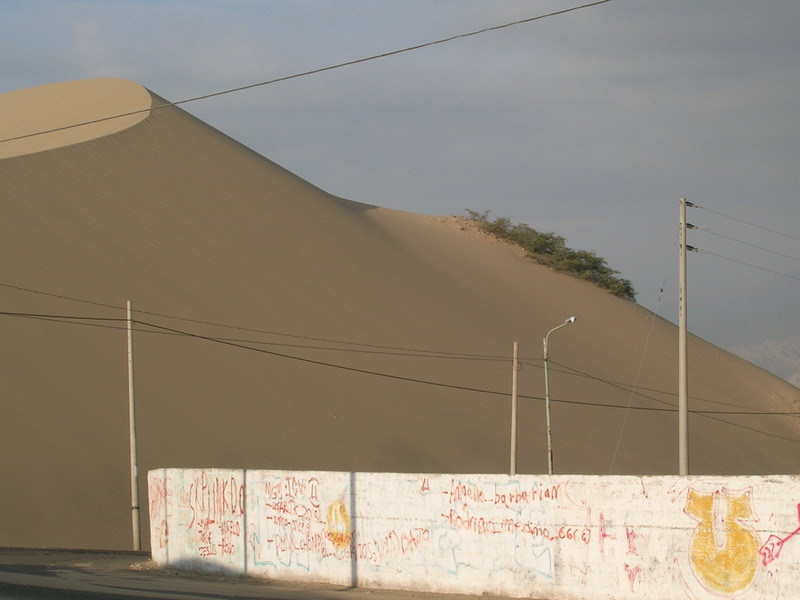 Yes, you would think the sand would just trickle in and fill it up? I know its been popular with tourists since the 1940s and likely it was a known place to stop for ancient peoples for water but I wouldn’t swear to it. A very unique place. 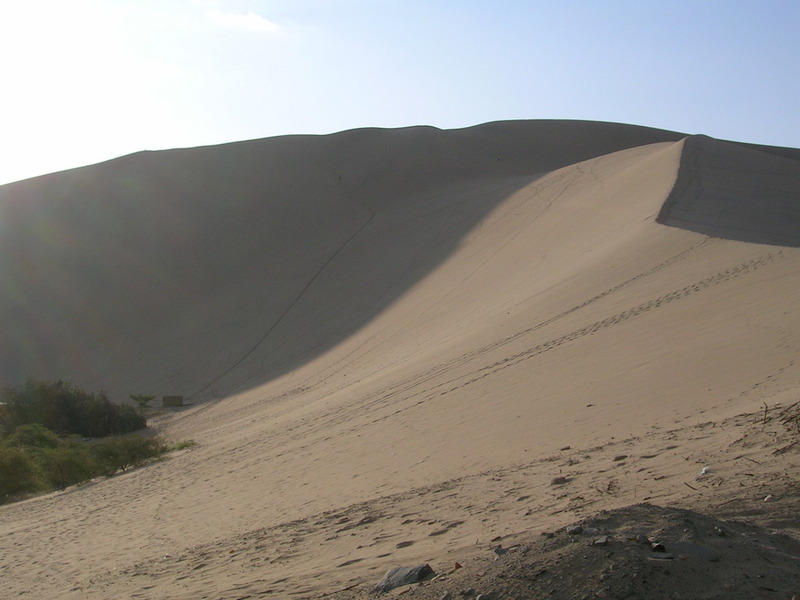 Looking on Google Earth, it appears that there are extensive farming areas to the east of Huacachina. I also appears to be dry, hot area. Did you spend much time in the region? I have heard about this spot. I was hoping you were leaping in a sand board with a GoPro! They are lovely photos. Truly an oasis. We spent two weeks in Peru, that particular day we were likely going to/from the Nazca lines which were about 2 hours away. Its a few years ago now so I don’t recall exactly. 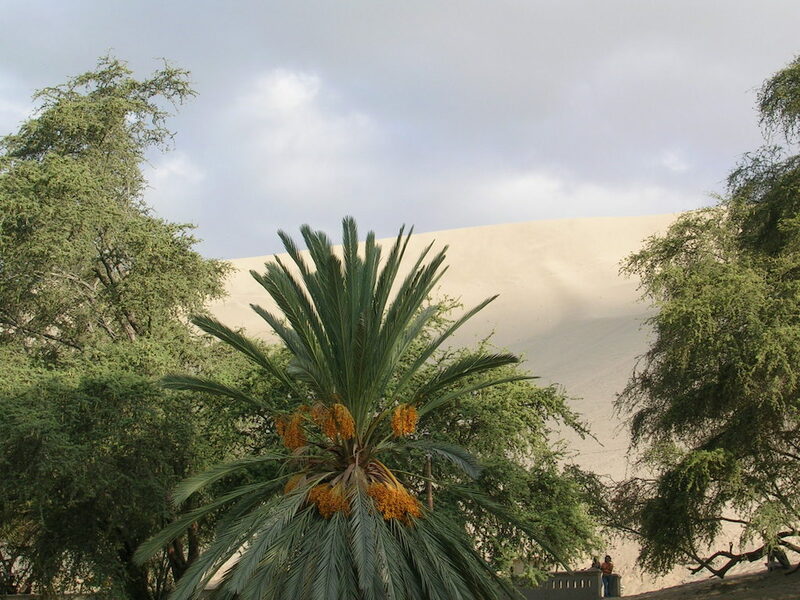 We only stopped for a couple of hours at the oasis – it was a group tour so literally cramming as much as possible into two weeks with some longish bus travel days. But we saw a lot! 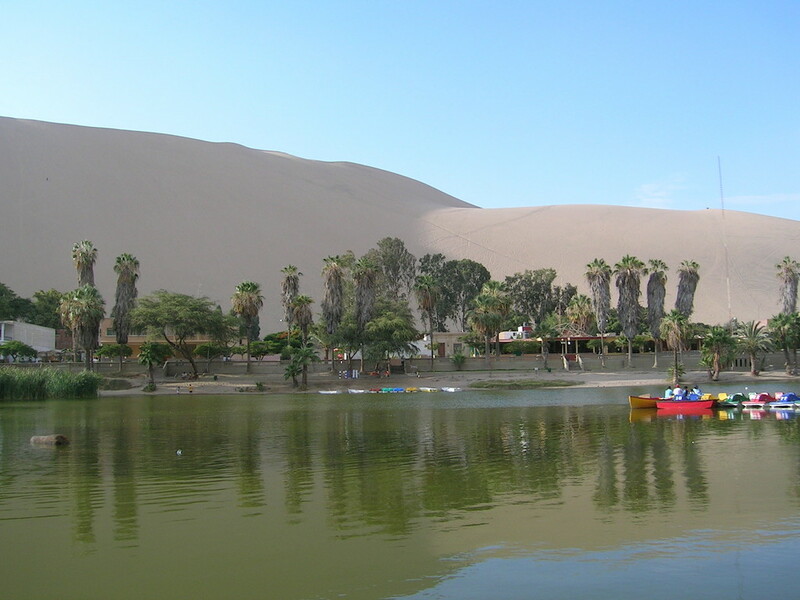 I never looked closely enough at the Peruvian money to notice Huacachina was on the back of one of the bills. It was a bizarre place. Cool to spend a day or two at but not much going on.